Have you always wanted to forge your own garment path but have never known where to begin? Or maybe you’re looking for a hobby that could potentially help you make money. Have you always wanted to get your hands on a sewing machine but don’t know what the best sewing machine for beginners is? Look no further for guidance! The world of sewing can seem daunting to the average newcomer but it doesn’t have to be. 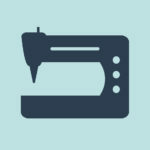 There are plenty of online resources that can help you understand your sewing machine and how it works. That being said, where do you begin in the search for a sewing machine? There are a few key things you should keep in mind when choosing a sewing machine like cost, attachments, and stitch-adjustments. So how do all of these things affect buying a sewing machine? Well, let’s find out! The world of sewing machines is vast and plentiful. 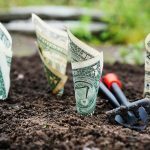 When taking on any new hobby it is important to consider the financial aspect it requires of you. The equipment, materials and time spent will cost you something. This is not different when it comes to the art of sewing. 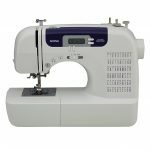 Sewing machines can range from $30 to $1000+. Be realistic when it comes to picking your own personal beginner sewing machine. How much time can you dedicate to this hobby? If your answer is “not a ton of time” maybe don’t spring for the $1000+ machine but aim for the other half of the budgeting spectrum. Attachments. What Are They and Why Should You Care? 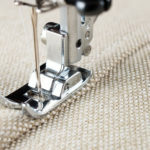 Something to keep in mind when selecting a sewing machine for beginners is the attachments included with your machine. This is important when considering what type of things you’d like to sew and learn how to sew. When thinking about sewing machine attachments, 9/10 it’s in reference to the feet that are included with it. If you’re looking to take up quilting you should keep your eye out for a walking foot, 1/4″ foot or a spring action foot. If you’re interested in sewing full garments you should look for a buttonhole foot, an overcast stitching foot or a zipper foot. 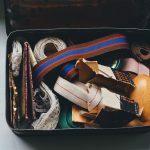 If you’re not entirely sure what you enjoy sewing the most, then any standard machine will typically have adequate attachments to get your feet wet in the world of sewing. If we’re being completely honest, when you’re first starting out your sewing endeavors, you really only need two stitches, the straight stitch, and the zigzag stitch. These are the most basic types of stitches that will ease you into sewing. These two stitches are your peanut butter and jelly of sewing. They’re the classic duo. As you progress in your sewing abilities, the luxury of having different and varied stitch adjustments will become appealing. You’ll also become interested in honing in the skill of adjusting your thread tension settings on your machine. 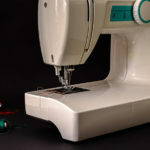 Your sewing machine will typically have a few different types of stitches and once you feel like you’ve mastered the basic stitches offered, that usually is a good indicator that it’s time to upgrade to a new machine. 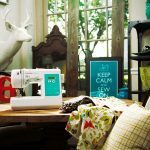 There are a lot of factors that go into finding the best sewing machine for beginners but it’s not impossible! 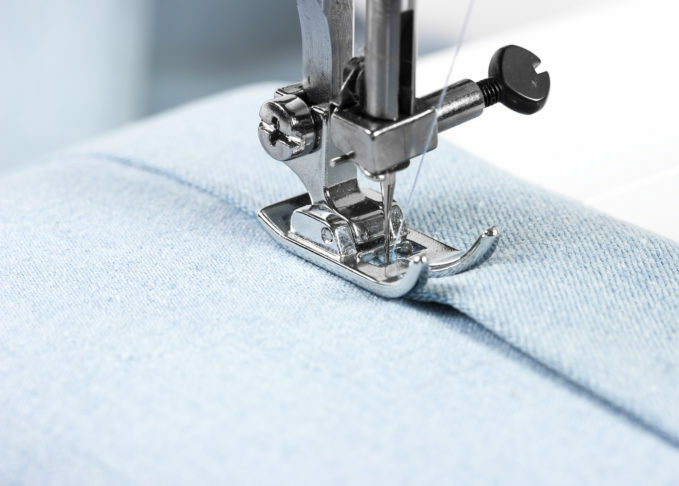 These three characteristics of a sewing machine are a great gauge to find out what you need to look for when selecting a new machine. Since a sewing machine is an investment, it is always smart to do extra research about brands and manufacturers and what they offer. Look at machine specifications, reviews and how well it fits your expectations. Another great resource is to visit your local seamstress, sewing store or craft store. The people in these departments have a world of knowledge at their fingertips (literally and figuratively). Utilize it! They’ll be able to help you find the best machine for your buck. Now it’s time to take all this info and go find your sewing machine soulmate! Do some research, be realistic with your expectations, set your budget and go find your first sewing machine. If you have any questions, feel free to reach out to us.